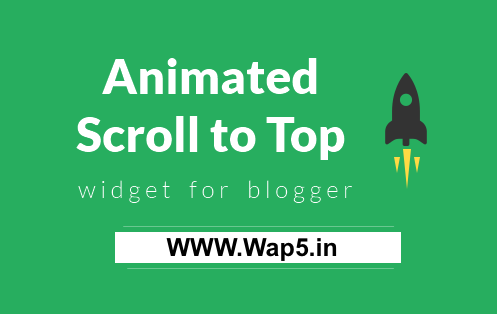 The below post would let you to add a custom animated scroll to top rocket (or any icon) in your blog. The following scroll to top widget is sneak, clean elegant and super easy to add in your blog. The best part is that you can add any other icon you want. You can see the live demo on this page itself. To see it in action scroll down the page and hover/click over the rocket. After adding, save the widget and template. In case the widget is not working properly make sure you have jQuery library added in your blog. Moreover you can adjust its positioning by playing with the margin CSS code. I will add detailed instructions once I am free.